Whether you celebrate Christmas on the 24th like me, or on the 25th, I hope you end up having a very nice day. I'm a bit sad that I didn't arrange any Christmas-related RP event in the guild this year. Last year we had a "Christmas walk" from Stormwind to Ironforge, where we opened presents. Soon after that someone, who has become very important within the guild, joined us. It was the beginning of the time that Menagerie really began to shape its identity as a guild, based on what kind of people belonged to it. While as a blogger I still remain neutral when it comes to faction favoritism, the majority of my characters are at least somewhat allied with the Alliance. Therefore I present you with some culinary pro-Alliance Christmas propaganda. 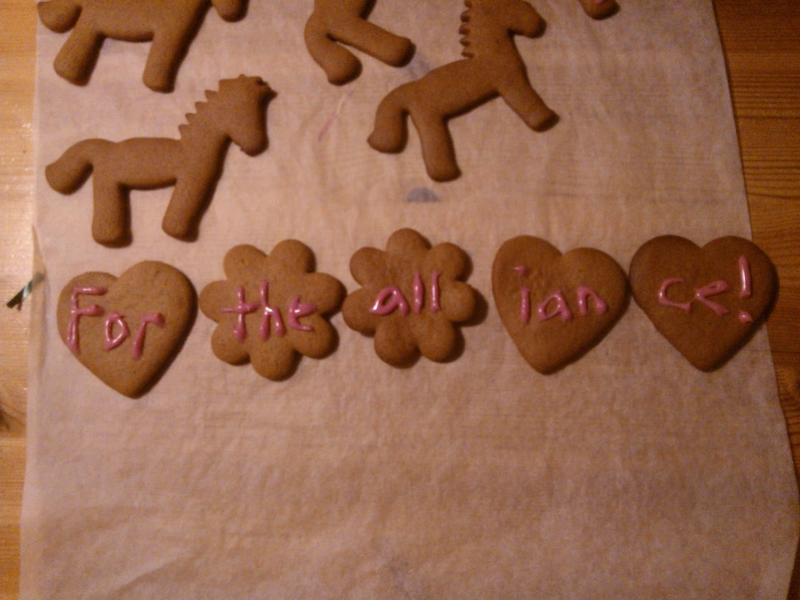 This is what happens when one is pressured into decorating gingerbread when they desire to play WoW instead.